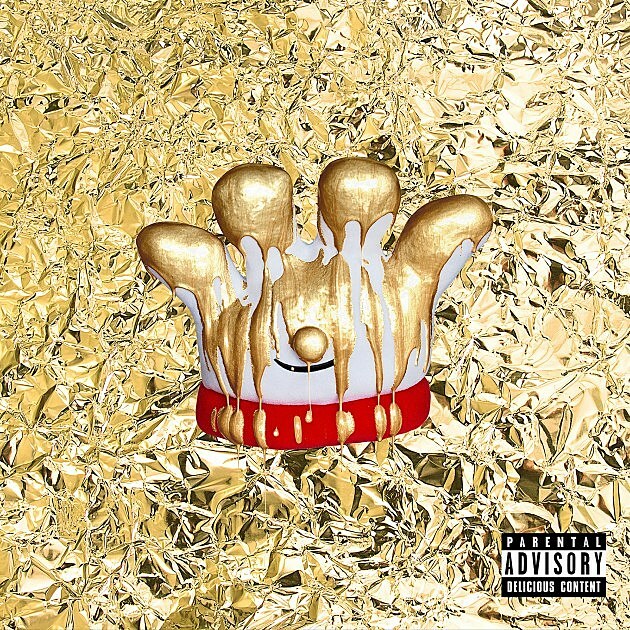 Hamburger Helper has a mixtape that has more plays than your favorite rapper. On April Fools’ Day (April 1), the company’s mascot Lefty dropped a mixtape that had the Internet on fire. Watch the Stove, a five-song project featuring college students, local acts in Minneapolis, Minn., plus a few established rappers, arrived without warning and took hip-hop heads by surprise, with many on social media acknowledging the tape actually exceeded expectations. The project, which has been streamed more than 5.9 million times on SoundCloud, looked like a joke and just another marketing gimmick from a corporation to pimp out hip-hop culture to make itself seem cool. However, that notion was quickly thrown out once you hit play. Within hours the mixtape was a trending topic on Twitter. The students involved were GeNreal from New Hampshire on “Food For Your Soul,” Dan D from North Carolina on “In Love With the Glove,” Theory from Indiana on and illWIN from Ohio on “Crazy.” RetroSpectro, born Niles Stwear and achieved social media fame for his comedic raps, is on “Hamburger Helper.” Minnesota artists Bobby Raps and DJ Tiiiiiiiiiip created the explosive intro track “Feed the Streets,” which is arguably the best song on the tape. Watch the Stove has been in the works for a couple of months and it took some very ambitious people to actually pull it off: Hamburger Helper’s Liana Miller, Marketing Communications Planner; Ashley Wright, Marketing Partnerships Planner; and rapper Retro Spectro, to name a few. Here’s the real story on how Hamburger Helper put out one of the best projects of the year. How did this mixtape actually come together? Liana Miller: It started as a Twitter thing. Basically we had someone on our Twitter complaining because we were commenting on hip-hop news and when Drake would come out with an album we would rip a parody version of the album cover. People would find it crazy funny and would ask us when is your mixtape coming out? If you’re going to comment on all this hip-hop news, why don’t you come out with your own? After a while we got so many request we’re like why don’t we actually do it. So we ended up just coming up with this idea, very lowkey over here, not a lot of people knew it was happening. We contacted a bunch of people, including Retro here on the line, to produce this tape. It just sort of became this joke… not even really a joke. It came out on April Fools’ but it wasn’t meant as a joke. It was very much something Twitter was asking for and we delivered on. What was the reaction of your managers when you pitched this idea? Ashley Wright: We actually have a lot of creative freedom from our manager so we didn’t have to pitch this to anyone. It was more a secret project. Liana and I were the only two from the Helper team that were on it. We have an internal creative services agency on here that are called The Bell Shop; three guys there that are really into hip-hop helped too. It became a passion project for us. Nobody really knew about it until the drop then it was a big surprise to everyone. I think that was a big piece to why it worked because we didn’t have to get approval for all of this. It was just six people who was really passionate about hip-hop and the culture and having fun with the brand and not taking it too seriously and being able to run with that in a fun way to create something with these artists that we would want to listen to ourselves. How did you find the artists on the mixtape? Ashley: It was different for each artist. One of our marketing communication planners from the Bell Shop, Rob McNeil, he knew Bobby Rap and DJ Tiiiiiiiiiip through one of his friends. So that was just a friend of a friend. We reached out to McNally Smith School of Hip-Hop through Amber Benson. General Mills has worked with Craig Rice before who is a professor at McNally. Liana: I’m a big Retro fan; I have been on Vine and Twitter and seen his work and he’s hilarious. So when we were thinking about putting together this mixtape, it was at a time when he dropped his first single “Chicken Nugget.” Overall everyone got chosen for this mixtape simply because members of our team though they were a good fit and had good music. Retro, when they came to you about the tape, what were your thoughts? Retro Spectro: I didn’t take it serious. I released the “Chicken Nuggets” preview video and ignored them because it’s Hamburger Helper, like they ain’t serious. I got an email and I forwarded over to my consulting manager. He said everything was serious. It sounded good because they didn’t really put any restrictions like put I was like lets do it. How long did this project take to work? Retro: When did we first start taking? Liana: Probably like the end of February. It was really like a couple of weeks we just reached out for him. For Retro, he came out with that song. I was like definitely let’s make the move and he definitely turned it around. [Niles] track is definitely the quickest. He was the most cooperative member on our team. The students done it as like a school project sort of. Like it was a contest for them so that took a few months. Working with Bobby Raps and DJ Tiiiiiiiiiip, that took a few months because they been on the road and got their own music going, they are with Juicy J. Right now they touring with like Father and stuff. Were you afraid of the reaction? Retro: I wasn’t afraid at all. I know that I put of music before and regardless what I rap about they know I do comedy so they know I’ma have fun with whatever I do. I knew [people] were going to like it. Liana: For Helper we felt like it was a toss up. I had faith in our artists and the music but understood the process of even we create this bomb playlist, are people going to be able to receive that well, are they going to want to hear a mixtape from a food brand. We had this twitter audience that’s been targeted towards the people that want to hear the mixtape. We’ve been hearing this feedback so we knew we wouldn’t be a completely shock to people but it could of blew up in our faces and became the lamest stunt a brand did and it would have been made fun of on Twitter. Twitter has the power to make you or break you. Ashley: I think we all were pretty nervous in the beginning. A lot of conversations around what we should do, what we shouldn’t do, what we should reach our to what we shouldn’t reach out to; And a lot of apprehension and a lot of meetings. But once we heard the tracks all of us were like wow this is going to be really good., it was really hearing the track and seeing the two music videos. I really energized the team and that’s when we knew that when we got all of our tracks together that it had a high likely hood of being a hit. We would of never guess it to be as big as it is. Liana: We thought it was going to be funny for our followers and people get a couple of jokes off. We didn’t even put a ton of money behind it, this was a thing that got viral because people spread it around. It was crazy. We knew it wasn’t going to completely blow up just because of the how we picked the music. If we went at it from a like a real corporate approach and get legit producers in the studios. We wanted to make sure that the music was a representative of the people that we’re talking to on twitter. So by getting Retro, college students and Minneapolis local artists that was us being lowkey and grassroots with it and not turning people off. The day of it’s release it’s going everywhere, how was the feeling? Retro: I felt good. I didn’t know who the rest of the songs were going to sound. I was confident in my work and when I heard the rest of the songs, I thought this is going to be real good. Liana: It was so shocking [laughs]. Liana: I woke up Friday morning and it was just a good morning. If you remember the day before it Beyoncé dropped her clothing Line, Kanye came out with a new song, Twitter was buzzing. The mood was right. Ashley: I think Yahoo Finance was one of the first to break the mixtape. Abby: we actually did a press release exclusive with First We Feast and they broke the story right after the press release went live. Then Yahoo Finance was one of the first to pick it up. Liana: We were just ready for something to happen because it kind of took off slow. Then when Twitter caught a hold of it, it was just about lunchtime and it blew up. It was dope, the whole experience. I just came out of undergrad, we’re kind of a young team, we all are fans of hip-hop and just to be apart of this moment is so dope. How the hell did “Feed the Streets” come together? That song is incredible. Liana: they were like the last people to turn in their song to us. We didn’t know what that song was going to be until the day before it dropped. When we heard it we were like, oh crap this is amazing. The thing about that track, it’s the perfect intro; it gets people hype and has so much energy. It goes in to being a little bit trap and a little be dance. I listen to that track every morning on my way to work. Liana: I don’t think we’re going to be producers putting out mixtapes all the time. But we’ll still be in the game, especially that we have this notoriety with the community. Everything, no matter what it’s about to have fun as a brand and entertaining the consumers. So whether it’s a mistake or music video, we’ll keep feeding the streets if you will.